Metal and comics: a match made in heaven. And when these two worlds collide, it usually offers something delightful for metalheads and comic book enthusiasts alike. 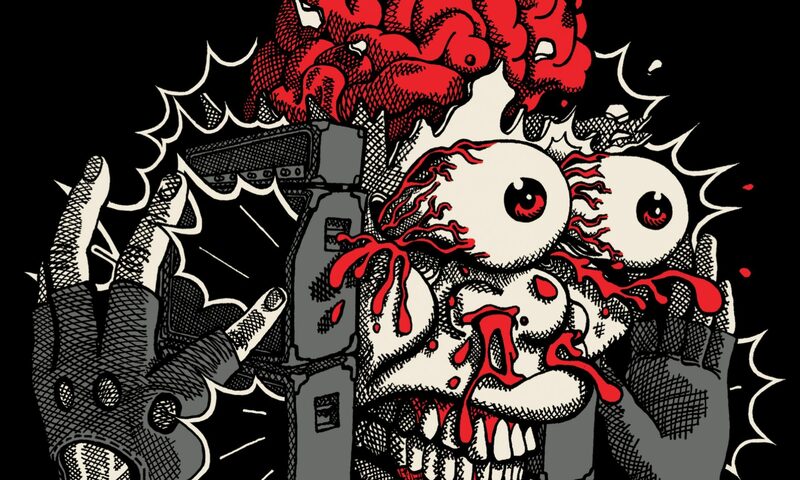 Metal-themed stories fit the pages of a comic book rather perfectly, but the company Rock and Roll Biographies takes it a notch further, by depicting entire careers of bands within a mere handful of pages of stunning artistry. 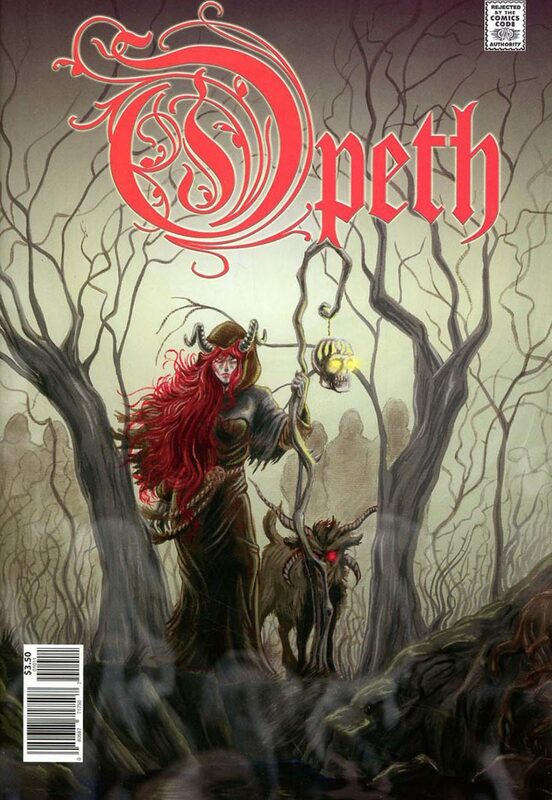 Their latest release is a fantastic new comic book, based on the life of a little-known Swedish band called Opeth. Scott Pentzer’s cover art compels you to pick up and open this book instantly, and Opeth superfan and connoisseur Spike Steffenhagen takes you through the journey of the band’s career with his penmanship, starting from the formation of the band, right up till present day. Steffenhagen exhibits attention and penchant for factual detail, yet infuses humor and sarcasm that makes this a breezy read. To capture the life of a band as epic and complex as Opeth within 26 pages is no mean feat. Mats Engsten’s pencil drawing is mind-blowing to put it mildly, and Vic Moya does complete justice to it with the ink, as the book is presented in black-and-white, a wise choice for an Opeth biography. For an Opeth fan, this book is not only entertaining but also educational at the same time, as it presents facts that many fans, specially younger/newer ones, may not be aware of. For longtime fans and followers of the band, it is a glorious trip down memory lane, and a reminder of the reasons why you fell in love with Opeth in the first place. To say that this is a must-have in your collection would be like stating the obvious. 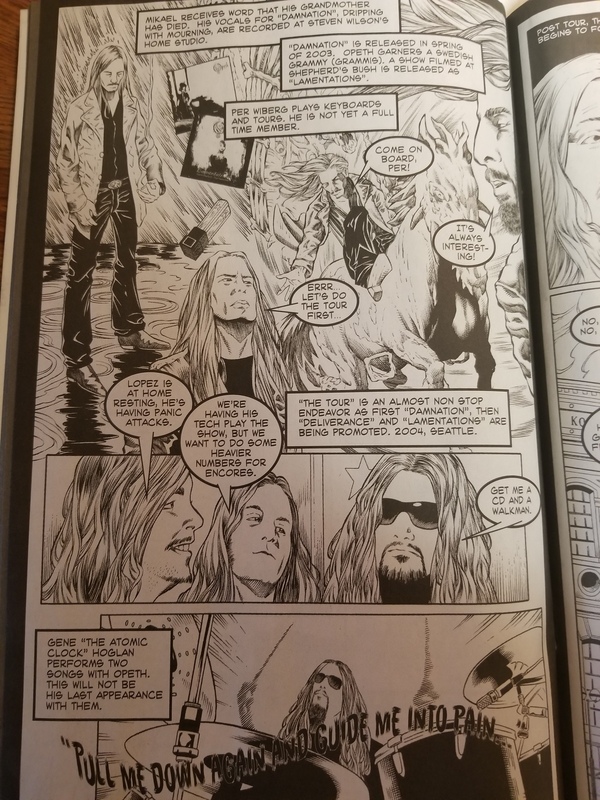 This comic book is a worthy pictorial representation of the band that was and is Opeth. Giveaway: We’re giving away one copy, signed by Spike Steffenhagen, and you can enter using the widget below. US participants only. One winner will be chosen next Wednesday February 7. Previous PostPrevious Album Review: John 5 and the Creatures – It’s Alive!